Fresh artichokes make lovely starters when spring entertaining is in order & garden herbs just emerging can brighten simple sauces that pair beautifully with these gems. Once a few artichokes have been properly cooked, the end of the leaves may be dipped in the Lemon Herb Sauce. Prepare them up to two days ahead to make party day effortless & consider serving the combination for showers, birthday celebrations & Easter gatherings. Stir together the first 7 ingredients in a small bowl. Serve with the artichoke. 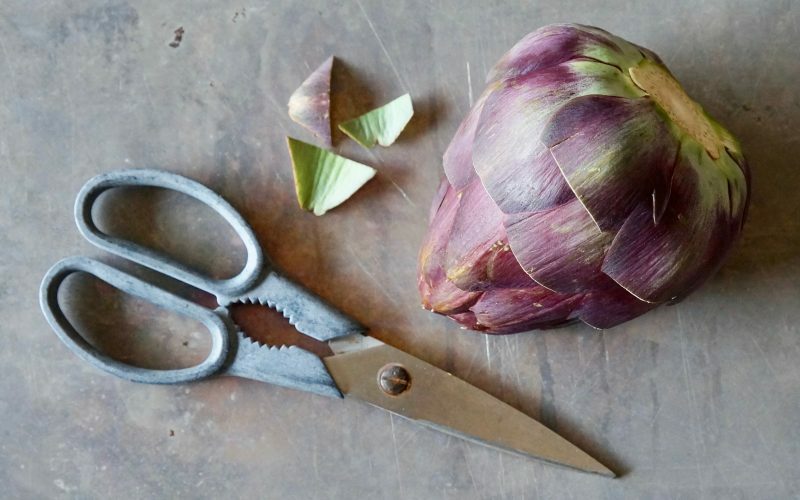 A few pointers will make preparing fresh artichokes for cooking applications effortless. 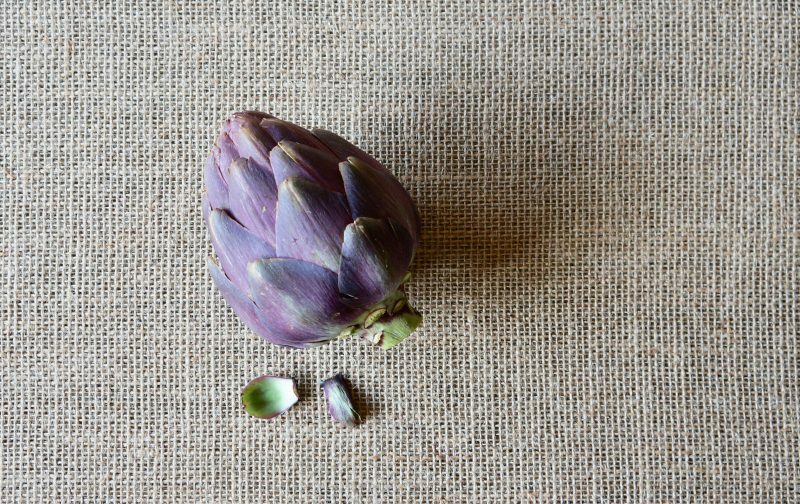 Look to The Basics: Purple Artichokes to learn how to purchase & ready them for cooking applications. 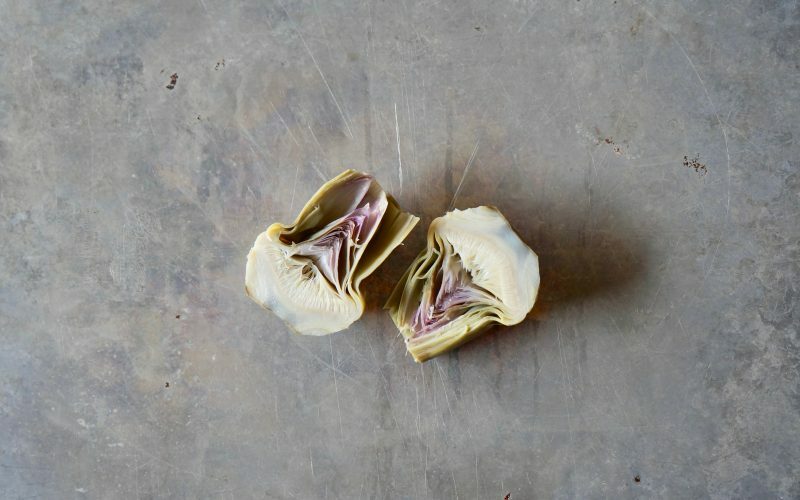 Offering fresh artichoke leaves as an appetizer is such a lovely way to get elevated gatherings underway but it is the tender heart that is anticipated the most. Trimming artichokes properly will be necessary. Cut about 3/4-inch of the top of the artichoke off to partially expose the heart in the center then cook as directed. 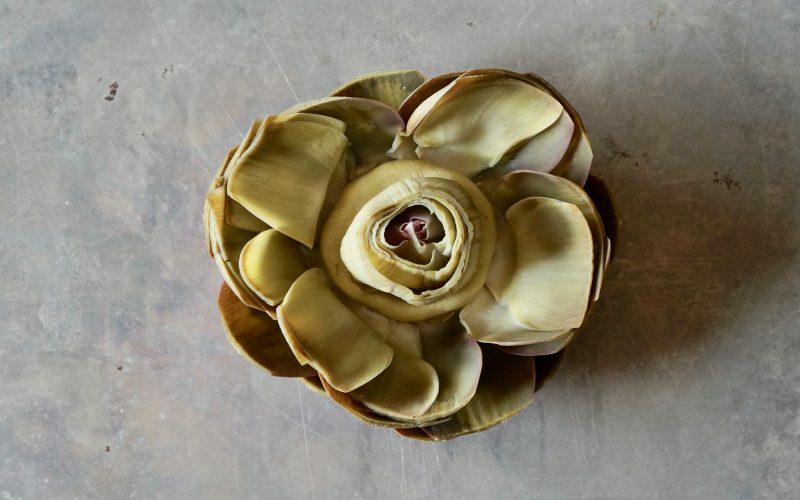 Gently peel back the outer leaves of the cooked artichoke to expose the heart. Remove the heart from the core base. 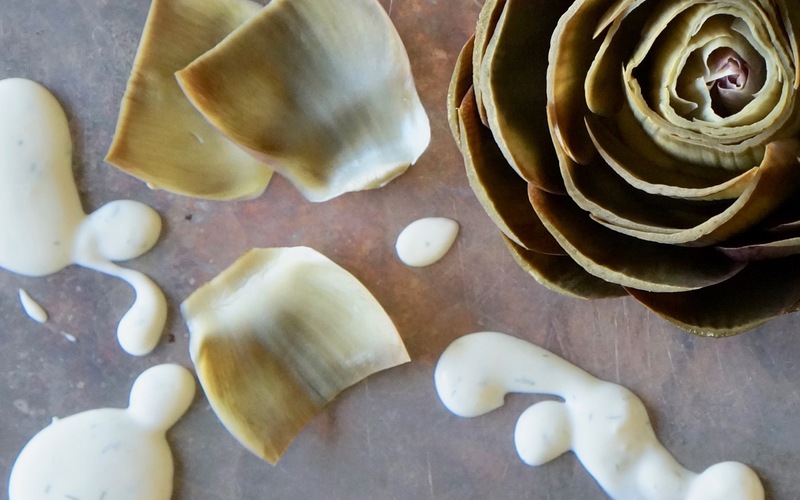 Slice the artichoke in half or into quarters. Serve with the Lemon Herb Sauce or use it in salads & side dishes to elevate lovely meals.